Is Spanish easy to learn? What’s the quickest way to learn Spanish? What is the best way to learn Spanish? These are just some of the questions that you asked yourself – and the internet – when you first started learning Spanish. 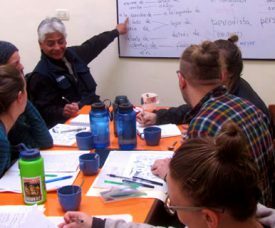 There are plenty of ways that you can study Spanish – and plenty of debate around their effectiveness. But which are actually work? Is it possible to learn Spanish in a month? Before we begin, let’s put to bed a question that touches the lips of a lot of first-time language learners: is it possible learn Spanish (or any other language) in a month?